When you hear the phrase “Tibetan Incense,” it could be referring to any number of incense types made mostly in Buddhist communes in the Indian and Chinese Himalayas, Nepal, Bhutan, Japan, Taiwan and parts of Thailand and Sri Lanka. Incense from these places are essentially the same as Tibetan incense, in composition, manufacturing techniques and fragrance quality. Incense is used extensively in Eastern traditions and has been for years. The Hindu, Buddhist, Taoist and Shinto religions all burn incense in festivals, processions, purification, meditation and daily rituals. In Tibet incense was used in monasteries from ancient times. Traditional Tibetan medicine (TM) with a view rooted in Buddhism, acknowledges how health and illness result both from the relationship between the mind and the body and people’s connectedness to the natural world and sense of spirituality. TM recognizes the use of incense as a treatment for illness and dis-ease. Recipes are found in ancient Vedic texts that are based on even older Ayurvedic medical texts. Some have remained unchanged for centuries. Authentic Tibetan incense originates either in traditional monastery or medical college / hospital formulations. 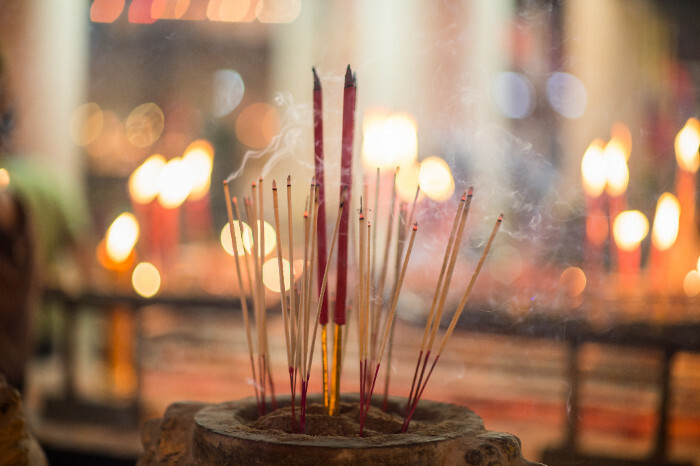 In fact, one of our incense offerings is called Tibetan Monastery, referring to this practice of creating the age-old formulae in a holy place. True Tibetan incense is hand-mixed, used by monks, and offered to the world with the idea of with promoting inner and outer peace. Powerful in their aroma, their purpose in burning it is to purify and cleanse the sacred space for deep meditation and prayer. If you are looking to use incense for meditation and creating that special sacred space in your home, look at Nag Champa. Tibetan incense is blended from all natural ingredients such as flowers, leaves, grass, wood, bark, spices, and aromatic herbs. Different from other types of incense produced in Asia, they have a characteristic “earthy” or herbal scent. Some contain over 30 ingredients, such as cinnamon, clove, juniper, and many more common herbs, plants and spices from the heady altitudes of the Himalayans. They do not use essential oil mixtures; or wooden bamboo sticks at their core; or harmful inhalant chemicals. See our Potola Tibetan Incense. Simply put, here’s how the incense is made: Take a mixture of classic fragrance ingredients (yes, could be up to 30!) and mix into a “dough” by kneading altogether in a large bowl. Extrude into thick spaghetti strands, place on boards and air dry in the sun. Once “cured,” separate into bunches and hand cut into suitable lengths for burning. Package and send to market. Another method cuts to size the strands as they come from the extruder. Incense are usually reddish brown in color or shades found in natural ingredients. Stay away from colored incense which could contain commercial grade colorants, sometimes an indicator of heavy metals and/or unsafe inhalant chemicals. Many Tibetan incense are actually made for safe inhalation. 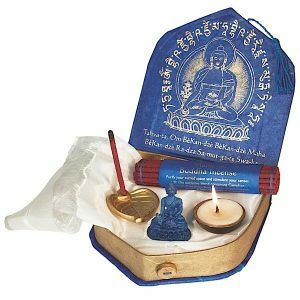 It is used today for religious offerings, meditation; overall mental and physical well being or simply to purify and freshen rooms, Original Healing Tibetan Incense is believed to dispel negativity and attract positive energy for healing and peace. Also a good fragrance for this purpose is Peace of Mind Incense. Some methods of manufacture use cheaper ingredients and replace natural carrier oils and essential oils with petroleum derivative substitutes and perfume. Tibetan mixtures consist entirely of ground medicinal plants, making it relatively more expensive. Man-made petroleum ingredients used in sticks burn for less than half the time of hand rolled sticks and may be toxic. The fragrance may change during the burn. The natural ingredients of Tibetan incense create an aroma which is pleasantly safe and longer burning. Incense often creates a sense of peace and well-being thanks to the aromatic therapeutic properties. It does not have to be used spiritually, but it can definitely aid in spiritual activities, particularly meditation. 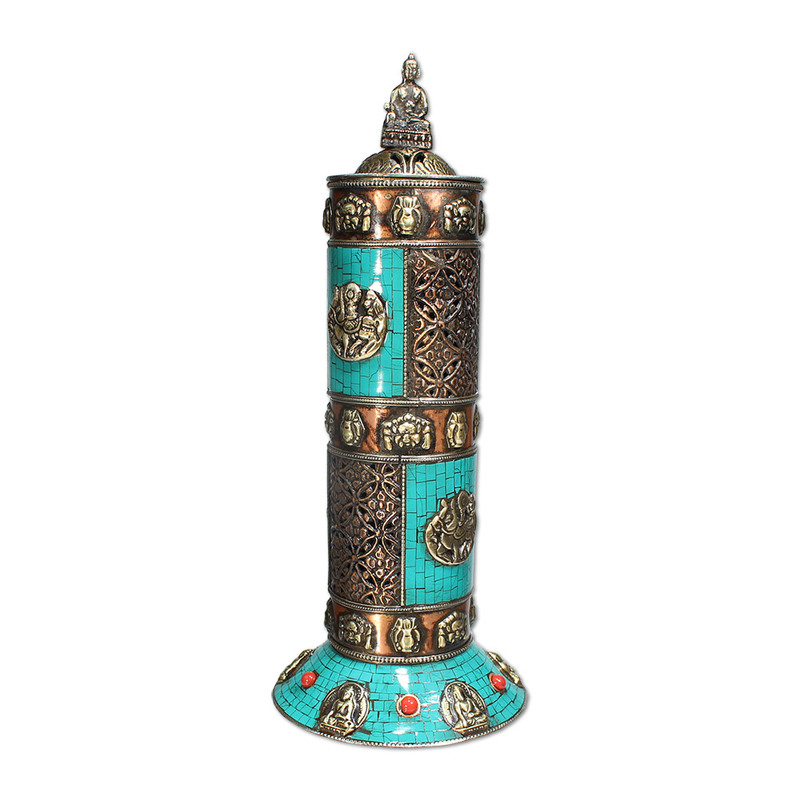 See our complete line of fine Tibetan Incense under sacred offerings. Because they are thicker than other types of incense sticks, Tibetan incense requires the right kind of incense burnerfor use. One method stands the incense stick in a small bowl of sand or uncooked rice to catch the ashes while burning. Shamans Market carries a variety of burning and offering bowls which are suitable for burning Tibetan Incense. Our incense kits and boxesmake great gifts for those who are just starting to investigate incense or those who are dedicated incense lovers. These beautifully made boxes include other goodies to aid in your meditation or relaxation. The post Tibetan Incense appeared first on Shamans Market.